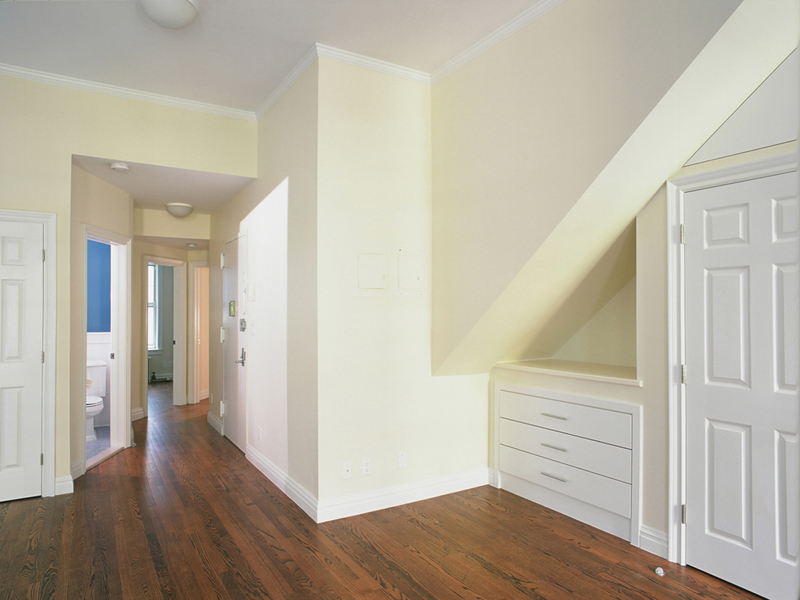 Located on the rear lot of an Upper West Side 19th-century mansion, a four-story 1930s “Taxpayer” walk-up was repositioned to achieve higher lease rates and value, with a zoning approved 5th floor addition. 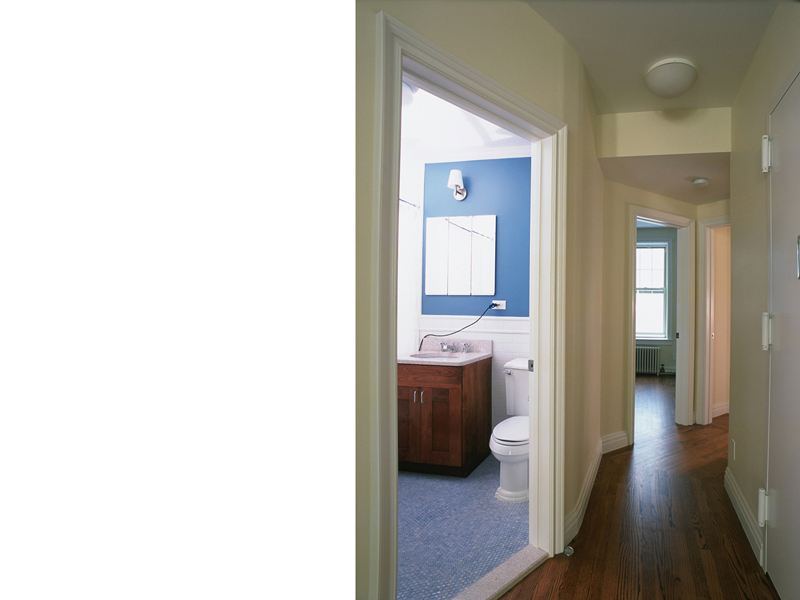 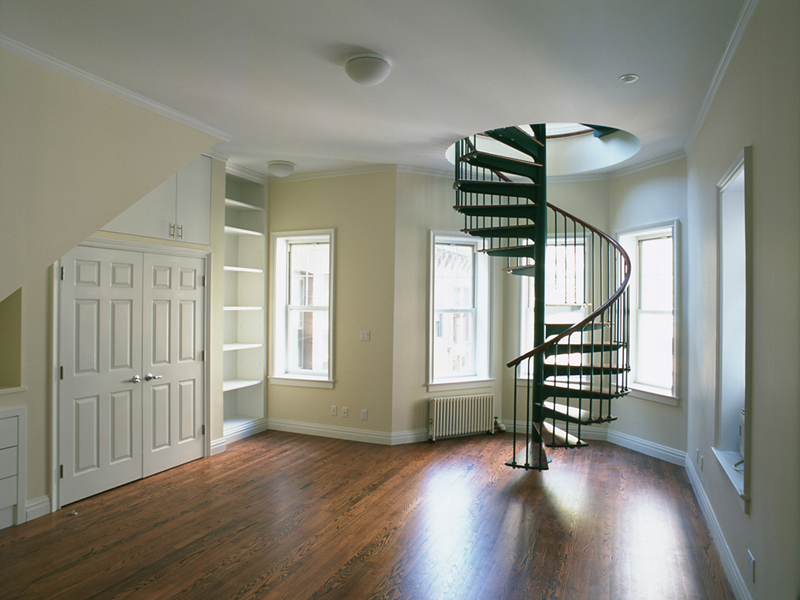 A duplex penthouse was created by gutting the existing top floor, adding a fifth floor, installing a spiral stair within the unit, furnishing a roof deck, and enlarging and modifying the original catwalk to give direct access to the principal structure’s elevator. 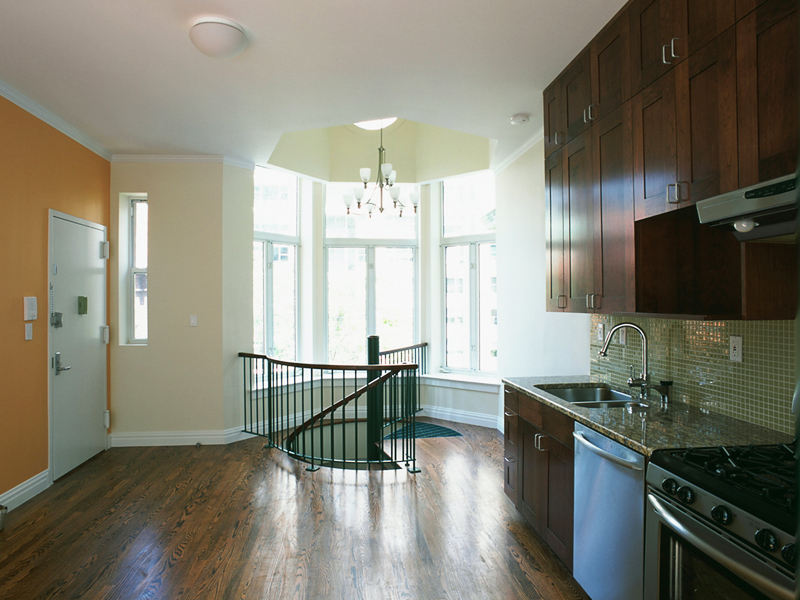 A large living room, two bedrooms and two bathrooms are on the lower level; an open kitchen and dining area overlook the roof deck on the top floor. 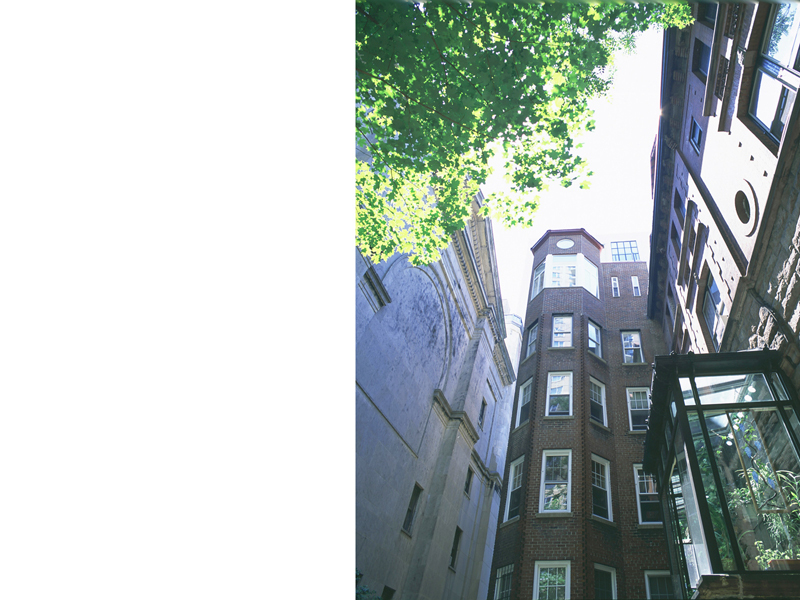 The exterior was finished to match the façade and character of the existing historic structure. 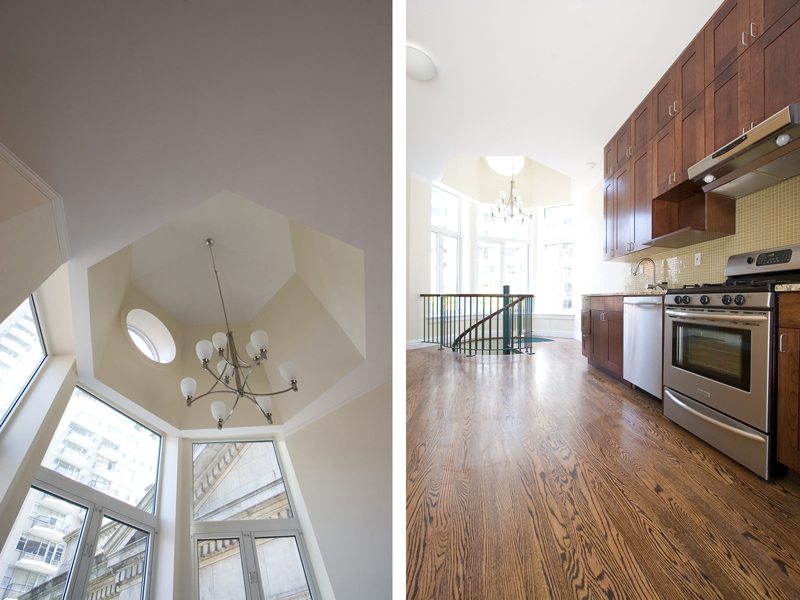 The penthouse duplex with elevator access maximizes this property’s usage as well as investment.